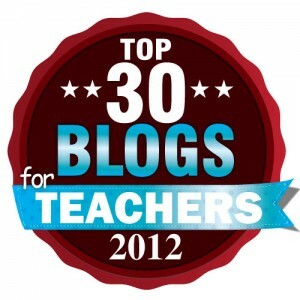 "You're Too Smart to be a Teacher!" I don’t read a lot of middle grade books now that I teach high school, but there are certain authors I always read. Kate Messner is one of those authors. A few weeks ago I finally got a chance to read her newest novel Hide and Seek. As usual, it did not disappoint. The second in her series, this mystery is perfect for middle grade readers. José, Anna, and Henry are junior members of the secret Silver Jaguar Society, sworn to protect the world’s most important artifacts. In this adventure, they discover that the society’s treasured Jaguar Cup, which members have whispered about for generations, has been stolen and replaced with a counterfeit. The kids and their families soon rush to the rain forests of Costa Rica in search of the real Jaguar Cup. The adults try to keep the kids out of the mess, but of course that never works. When they are left on their own at an eco-resort, they begin their own investigation. 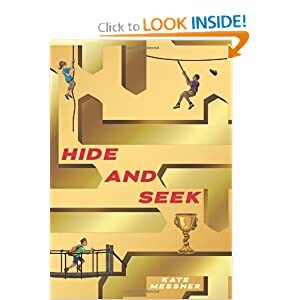 Middle grade readers will find themselves on the edge of their seats as they race alongside José, Anna, and Henry, in search of the cup before it disappears forever! Highly recommended for the fast-paced mystery, the realistic middle-school characters,and the amazing setting. But here’s the thing. Kate is going to get me in trouble because after reading Hide and Seek I need to visit Costa Rica. In fact, the night I finished the book I emailed Kate and asked her where she stayed on her research trip and for any other advice she might have. That’s how good the setting is. That’s how magical Kate’s words are- she brings the rain forest to life. Plus, she shared a bit about her research trip here, here, and here! I’m still looking into a trip to Costa Rica and I hope it happens in the future. If it does, I will thank Kate Messner for introducing me to the amazing eco-lodge profiled in Hide and Seek!